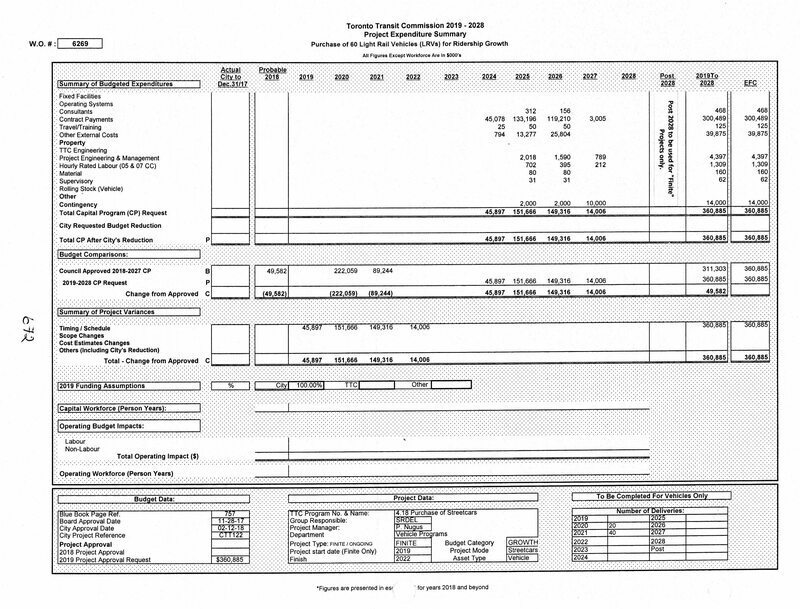 This entry was posted in Buses, Finance, Service Cost and Quality, Streetcars, Transit. Bookmark the permalink. So, are the ALRVs essentially all retired at this point? Are there no plans to use any of them at all this year? Steve: As I write this, none of them is in service, and I will be surprised if they get out again. There are enough Flexitys that the few remaining ALRV runs scheduled can be covered by the new cars. The last ALRV TransSee detected in service was 4204 on Jan 19, 2019. Would it not be possible to retain 20-30 of the “best” CLRVs to handle even one route? ….just to take the pressure off for a year or two? Are they in such rough shape that they couldn’t hold out long enough to be of any use? Thanks for all the analysis you provide! 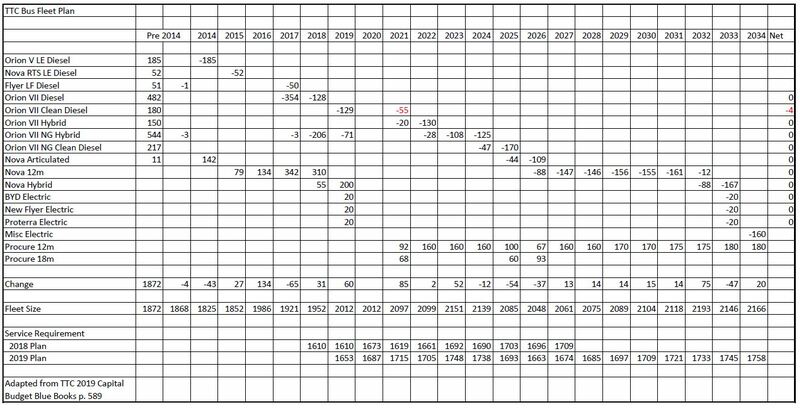 Steve: If you look at the CLRV reliability chart in my recent article about the TTC Board Meeting, you will see that there is a huge drop in reliability for CLRVs in Dec. 2017 through Feb. 2018. That chart only measures failures that result in service delays of five minutes or more, never mind cases where cars simply do not get out of the yard. I can see the CLRV fleet surviving to late 2019, but unless we have a balmy winter, not beyond. Moreover, the TTC would make a call on schedule designs for January in early October at the latest, and so it’s not as if they can change their mind at the last minute. As an example, the last-minute decision by the City to defer the work at King-Queen-Roncesvalles required schedule changes both for the streetcar operations and at Mount Dennis garage that would have provided the replacement shuttle services. This took place on very short notice with staff working over a weekend so that operators could sign up the revised schedules. Don’t forget that Dundas is likely to come back to streetcar operation once the Toronto Water project finishes later this year. Bathurst seems to be on again, off again, and I have not heard anything definitive about plans for it next winter. There will be a track construction project in the fall at Queen & Kingston Road that will cause the east end of the 501 to be bused, but once that’s done, the only thing blocking full streetcar operation over the winter is the availability of cars. 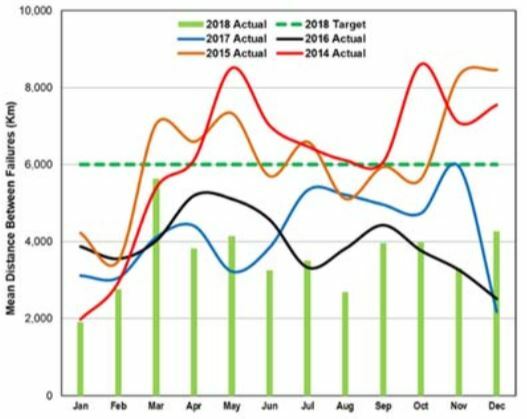 2020 brings a few projects that will cause bus replacements, notably the KQR project, but to some extent that will overlap the summer period when bus requirements are below their winter peak. 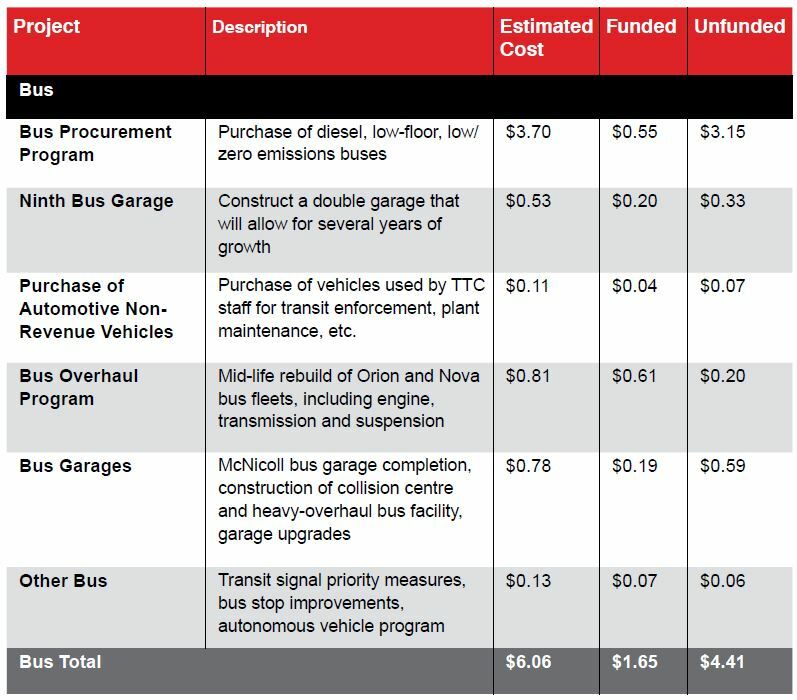 A related question will be just how hard up the TTC is for buses for any proposed service improvements. As long as Council starves them for funding, that problem is self-limiting. The following comment was left in another thread by J Graham on March 12, 2019. In anticipation of this article, I saved it for publication here. The comment has been trimmed to remove speculation about car allocations to routes as more up to date info appears in my article. 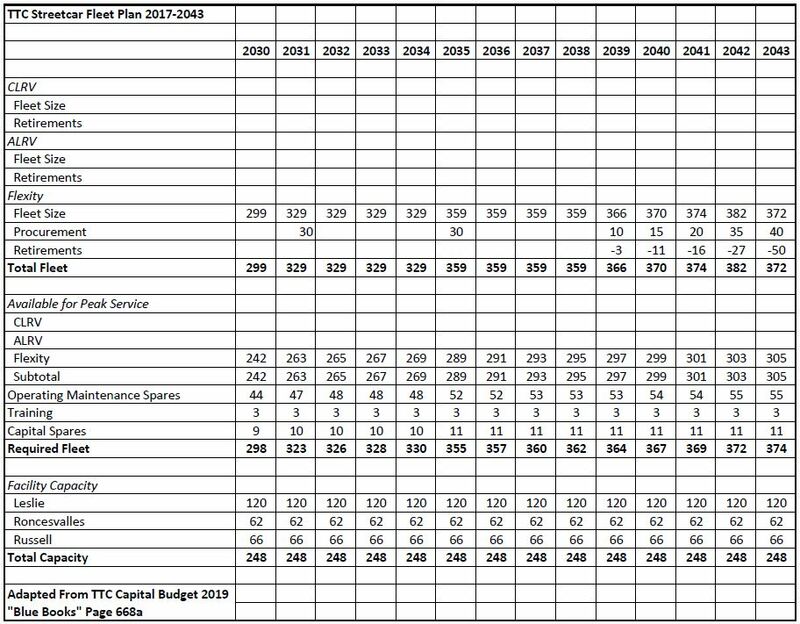 That will be a key report – the fleet plan. 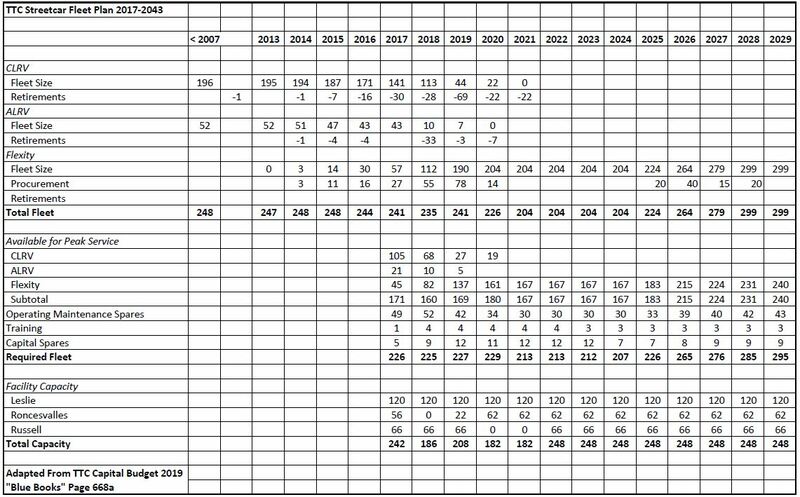 Having only ordered 204 “new” cars there will be just enough vehicles to do 1:1 ridership replacement. The new car count is at 132 delivered, less 6 not active, 2 “unknown” due to flash flooding, and 3 in “testing” phase – so about 121 active, ready to roll cars. We are getting close to the point that we could have LFLRV’s on all routes, if it wasn’t for spares, repairs and training cars! Logically the TTC needs more cars. The deferment of the extra 60 cars will be harmful to the system, ridership and hopefully somebody’s political career. Better to order 100 – that would allow 261 working cars and 43 spares. TTC would then have enough to provide decent service on the existing routes. We can hope that the deferment of the additional cars is due to TTC management waiting and watching Bombardier’s delivery performance on the last of the original order. They could also be waiting and watching for better “mean Distance Between Failures” performance, before committing. Allowing Bombardier to finish production and not ordering would be very costly. Any other source for additional cars would have a long lead and require a different set of spares. No cheaper time to order than while production is still running – keep these decent manufacturing jobs here in Ontario. But with the top brass at the TTC preferring to retire the legacy ALRV and CLRV cars prior to “winter 2020” and orders for additional streetcars deferred/delayed, one wonders if it is time to use the Rail Fan signal and call on Save Our Streetcars to ride again. Without a solid plan to build the streetcar fleet to meet ridership demand, some routes will stay bus-tituted and as infrastructure wears out, possibly become abandoned in favour of buses. Toronto has had a long and fruitful history of streetcars, do not let it die. Steve: For the record, it was the “Streetcars For Toronto Committee”. In retrospect, was it a mistake to have gotten rid of Wychwood? Could the property be re-bought from the city at some future date and a Wychwood 2.0 carbarn be built (incorporating the existing heritage building)? Steve: I agree that it was a shame to lose St. Clair carhouse when we did, but it took a long time (longer than expected) for the idea of a growing fleet needing a new carhouse to be part of TTC thinking. The changes needed at Wychwood to service high floor cars would not be kind to the existing interior, let alone whatever added structures might appear outside (compare to Roncesvalles). I think they are better off recycling Harvey Shops. This also has the advantage of continuing an existing industrial use rather than trying to re-establish one within a residential neighbourhood. Did the TTC keep any couplers when they were removed from the CLRV’s? I wonder if the TTC can dress the last running CLRV as it originally was on its retirement day. Steve: I don’t know. Maybe others reading this comment can illuminate the situation. Those couplers were removed a very, very long time ago. This needs to be brought to the attention of the TTC board and Toronto City Council. 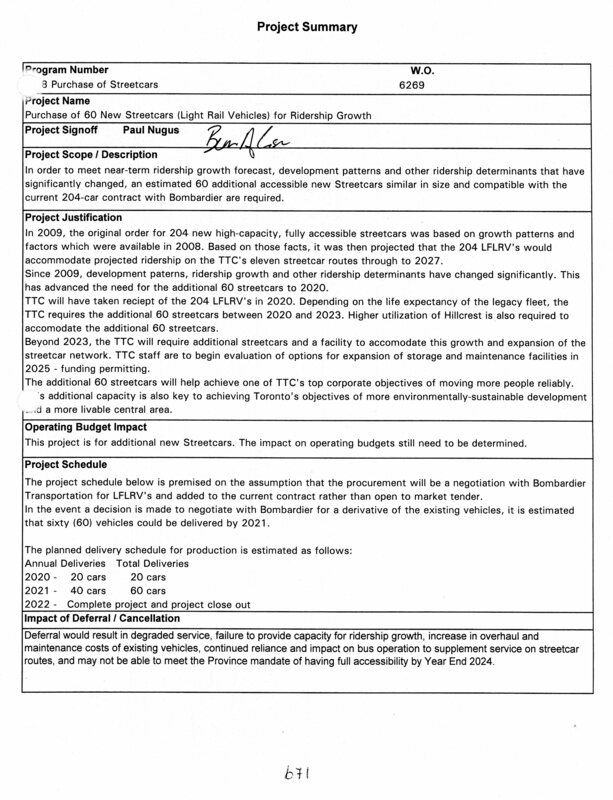 Even when the TTC receives all 204 new Flexity streetcars from Bombardier, there still won’t be enough vehicles to cover all streetcar lines, so they may need to use some of the 20 to 30 CLRVs available (depending on their condition) and supplement some with buses as well or else there may be a service fleet shortage on some routes during peak hours. Now that the 501 Queen route is getting the new Flexity streetcars, I was told it will take well into the summer to have the entire line switched over to the new vehicles, when the 501 is done, which route will be next in line for new Flexity streetcars? Will it be the 505 Dundas, 506 College/Carlton and 511 Bathurst routes? We all know that most ALRVs (the TTC’s old two-section articulated streetcars) are now retired from service and will be completely retired – one way or another – later in 2019. It’s suspected that CLRVs are here to stay for a while longer, given that the 506 has not received the new Flexity streetcars yet (not even one) which is going to be one of the last routes to get them. What do you think everybody? It sounds like they are looking, in expanding the fleet, to possibly convert at least one or two routes beyond the Waterfront projects, to streetcar operation. I wonder what routes they may consider. Of course, thinking that the extra cars would be used to boost service on current routes is foolish…. I’m sure this probably has been address somewhere, but I’d rather get it out my system. Can TTC not use a former Bus garage, Davenport, Danforth, Lansdowne, temporarily to address the lack of space after McNicoll opens? Even if its just light storage? Or even a space to lease out for a short time? Steve: Davenport is too small, and is not structurally sound even for some light uses. There is a project to do some rebuilding mainly for office space. The garage was not built for standard sized buses. Danforth is about to be partly redeveloped for a new police station. Lansdowne has just been given over to housing on the east side, and will be used on the west side by Metrolinx as a staging area for the Davenport Diamond project. None of them have fuelling facilities. I keep returning to this point, but a settlement of the Bombardier dispute in cars could put 6-12 cars in play (depending on deemed value per car and an estimate of the “5%” liquidated damages). Not a lot but would absorb the impact of the welding rebuild and produce relatively known good (at the 15K MDBF level, at any rate) cars. I feel like on one hand the beancounters would prefer hard cash, and on the other hand the procurement folks would like a bigger order to dangle at Alstom and others. In the meantime, operations are writing reports predicting the need for >204 streetcars and the dream of C/ALRVs soldiering on is being crushed by reality. It’s difficult to see TTC being excited about Flexities on the 505, given how they “solved” the dwell time issue on 504 by redirecting operator breaks to Springhurst and Distillery, and the same platform issues at Broadview and presumably Dundas West. CLRVs once the streetcar option reopens, and buses once the CLRV option closes? There has been so much chopping and changing of the 502/503 equipment, routing and service hours that it hardly seems to matter what equipment gets chosen. Would there really be that much uproar if that route too also saw permanent switch to buses? 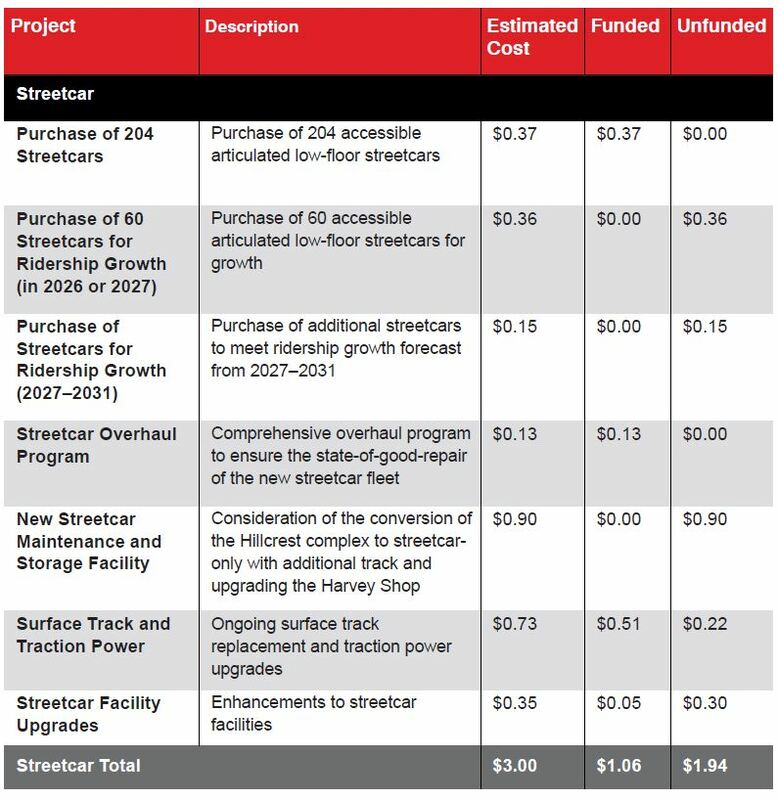 I am a bit worried about the potential for a Hillcrest rebuild into a streetcar division for massive cost explosion in comparison with a relative greenfield site, with streetcars getting blamed for that expense including relocation of the former uses which may have happened either way. It’s a shame that Lambton Yard is so busy lately (so busy that Flexities have been sitting in yards for days waiting for a slot on the TTC spur) as a slice of it might have been viable as a streetcar yard in conjunction with a small extension of 512. The industrial lands between Old Weston Road/Union Street and the Georgetown South corridor might also have worked – removing the Old Weston trackage, even if in a non-operational state, might end up a short sighted move! One thing that did intrigue me was the mention that Obico had the potential to store multiple modes. Do they mean subway cars and buses … or possibly subways and a streetcar facility? The advent of e-buses might make co-locating streetcar and bus storage (if not maintenance) viable in some respects. Steve: I believe the original idea for co-location was for GO trains and the subway as GO already owns the Obico sub. Is there going to be a Beaches Streetcar Parade in Queen St E at Easter? Is there a ALRV that could run? Do the Peter Witt and PCC 4500 still run? This may be the last year too for trolley pole operation before full switch to pantographs. Steve: Yes, the Easter Parade will include everything except an ALRV. Before, they wanted 204 new streetcars, we said ‘yes’. Then, they wanted 60 more new streetcars, we said ‘may be’ and we were genuinely considering it. Now, they want 100 more new streetcars for a total of 304. At some point, we have to say that ENOUGH IS ENOUGH and that there are other parts of the city, region, province, and country who need funding as well. Steve: Oh poor Scarborough TTC Rider, your biases are showing. Do you know that the streetcar system was basically frozen at the level of service it operated in about 1995, and improvements have come only recently with newer larger cars and supplementary bus service. 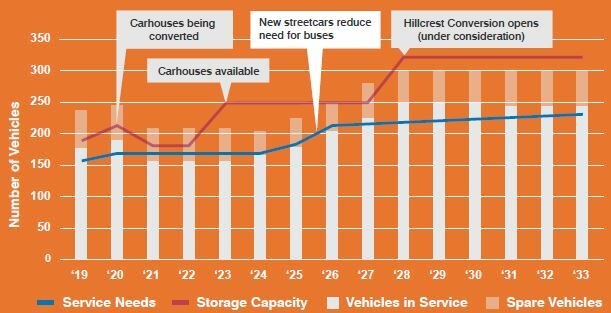 204 cars will not keep up with the backlog of demand, and we need more. There is also the new Waterfront line which is still in the cards. Meanwhile, the bus fleet has grown by 1/3 in the past decade, and with it service all over the suburbs. There is a new subway line to Vaughan. GO Transit expansion continues. You say “we” said yes. As the self-appointed spokesman for the great and powerful land of Scarborough, you are so kind and generous. Have they even thought about the terminal dwell time issue for the 505? I know Paula Fletcher wants the TTC to somehow redesign Broadview to fit two flexities, but even if that happens it would only solve one end of the line. They can only avoid this for so long! Steve: The TTC keeps adding running time to the 504 and this causes backlogs of cars at the stations even though they are supposed to take all of their layovers at Distillery and Dufferin Loops. Dundas had running times trimmed recently, but it is still common to see three buses in Broadview Station at once thanks to bunching. The problem with using Obico as a streetcar barn is that it’s currently too far removed from the streetcar network. At bare minimum, you would have to first convert the 44 Kipling South to a streetcar route just so that you would have a connection with Obico without having a lot of non-revenue track. So people choose to stand instead of sit and face another person. Also, seats are very high for average person. Not for me, but it is funny watching people with legs dangling. I am very sad about this and I do not think anything can be done at this point. My wish is that whoever, from the politicians, do not see issue with this be for speed to take streetcar ride at least once a day. The seating layout is the way it is on the new streetcars be due they are low floor and the wheels stick up through the sections where they are. In order to have a decent number of seats, they’re configured the way they are. It’s the same with low floor buses. When you lower the height of the vehicle you still need to make room for the wheels and other equipment that would normally be underneath the floor.